Kevyn began practicing, and fell in love with Pilates 15 years ago. After teaching internationally for just over 10 years, she is now recognized as an expert in the Pilates world. She currently resides in Brooklyn and has become one of the most sought after teachers in Manhattan. She began Pilates at age 17 after experiencing a knee injury as a long distance runner. The practice not only healed her knee injury but truly became an essential part of her life. 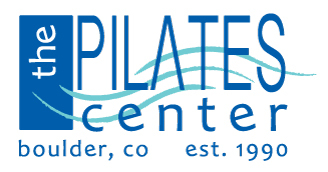 Kevyn received her Pilates Certification and Masterâ€™s Certification at The Pilates Center in Boulder, Colorado. While studying at The Pilates Center, she obtained her degree in Kinesiology at The University of Colorado at Boulder. Her degree in Kinesiology allows her to back the artistry of her teaching scientifically. Her teaching truly represents both a knowledge of, and fascination for movement and physiology. Her approach is subtle in that she prefers to allow the student to realize what they already know. She feels thankful and extremely honored to be a part of their journey towards optimal health. She has worked with clients of all ages and levels of fitness and teaches fluently in French and Spanish. Her enthusiasm for sharing Pilates with others is genuineâ€¦and contagious. Now teaching part-time in Sequim WA on the beautiful Olympic Peninsula! Scientifically-trained with degrees in Chemistry and Geology, Cynthia had a career in Environmental Consulting in Atlanta prior to discovering the wonders of pilates. Always athletic, by her mid 50’s she had developed several musculoskeletal imbalances especially from years of competitive fencing in the SE and long bicycle tours in the USA. Severe hip pain led her to physical therapy, and ultimately to Pilates. Feeling the immediate changes in her body (just performing footwork) convinced Cynthia to seek a training program at age 58. Cynthia graduated from The Pilates Center Intermediate Pilates Teacher Training Program and Host Studio CORE in 2018 and has not looked back! Cynthia lives in Atlanta with her husband Phil. She enjoys singing in her church choir, swimming in lakes and oceans, traveling, birdwatching, and studying the body.